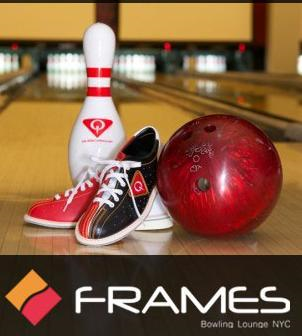 550 9th Ave., Corner of 40th St.
Join us for the CFA New York Chapter's Bowl-A-Thon on Thursday, May 2nd from 5:30pm to 9:00pm at the Frames Bowling Lounge in Port Authority. It will be a fun night filled with Dinner, Drinks & Bowling! The NYCFA is excited to encourage the participation of younger professionals to become active in our networking events. All proceeds benefit the NYCFA's ongoing education program, charitable contributions and support of fundraising activities, as well as future events. Lane sponsorships are available on a first-come-first-served basis. Each sponsorship includes: seven bowlers of your choosing (max 7 bowlers per lane), lane signage and email marketing. $750 per lane sponsorship. Join the YoPro Community and connect with other young professionals. There is no charge for signing up. please contact Andrew Loughlin or Howard Moore.